Michael J. 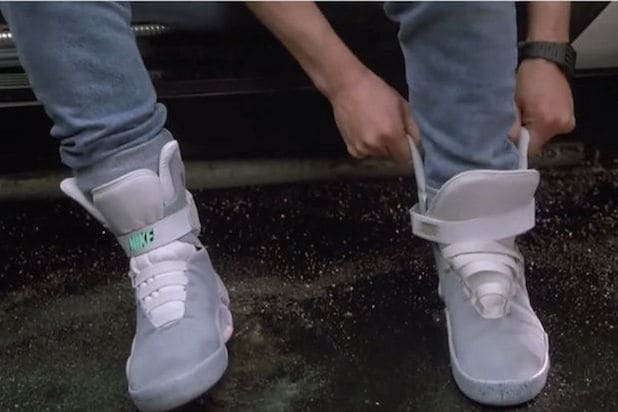 Fox has been presented with the first “living pair” of power-laced MAG shoes first featured in “Back to the Future 2” courtesy of Nike, the actor announced on Wednesday. “As the first, most celebrated wearer of the Nike Air MAG, we wanted you to be the first to receive a living pair,” it continued. It goes on to state that the company will create more pairs of the shoes which will be sold to aid the Michael J. Fox Foundation for research into Parkinson’s Disease. “If my calculations are correct … your pair should be with you shortly,” the letter concludes. 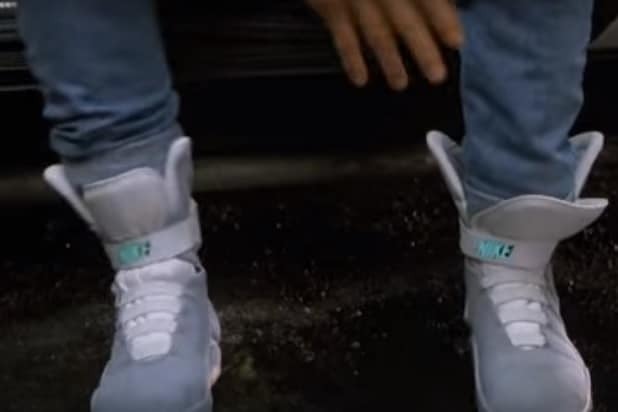 It also includes a hand-drawn picture of Fox as Marty McFly from “Back to the Future Part 2.” The company previously released a special edition shoe inspired by the film, which did not self-tie. The Michael J. Fox Foundation sent out a subsequent tweet of Fox wearing the shoes, with the caption indicating they will become available in the spring of 2016. Oct. 21, 2015 is the date to which Marty and Doc Brown traveled in the second film of the Universal Pictures franchise. Fans all over the world have been celebrating with screenings of the film, while Fox’s co-star Christopher Lloyd recently appeared in a special video encouraging fans to make the most of their future.